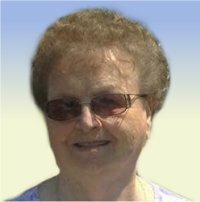 Barbara Meier, nee Brauer, 80, of Belleville, Illinois, born Saturday, July 30, 1938, in Belleville , IL, passed away Friday, January 25, 2019 at Mercy Rehabilitation Center in Swansea, Illinois with her two sons by her side. Barbara was a Secretary for First Assembly of God in Belleville for over 35 years and retired in 2011 and served under 5 different Pastors in her tenure. Special thanks: Special thanks to Heartland Hospice and the staff at Mercy Rehabilitation. Funeral: A celebration of life will be held at 6:00 pm, Thursday, January 31, 2019 at First Assembly of God on 900 Fair Oaks Drive, Belleville, IL, 62221, with Rev. Marc Black and Rev. David Raynaud officiating. I met Barbara in kindergarten at Bunsen school (about 1943) and we remained friends throughout school. I spent many a night at the Brauer house and loved the comings and goings of such a large family. Great memories. I send my sincere condolences to her sons and the remaining family members. RIP longtime friend.